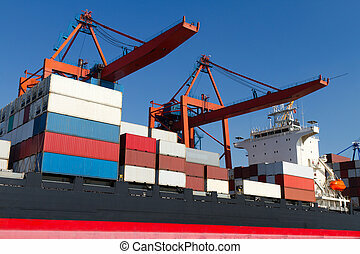 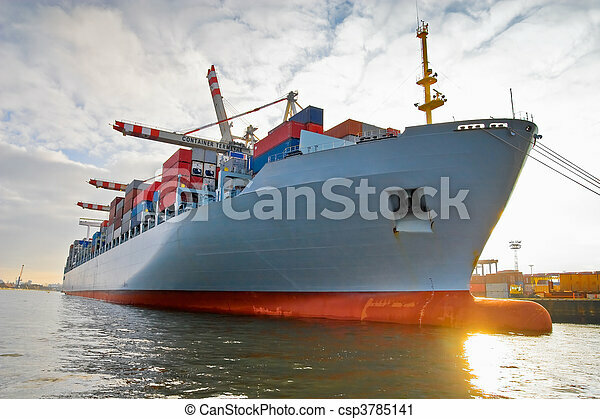 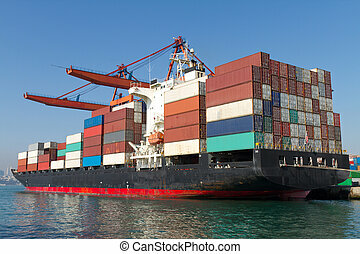 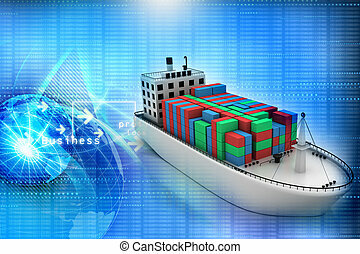 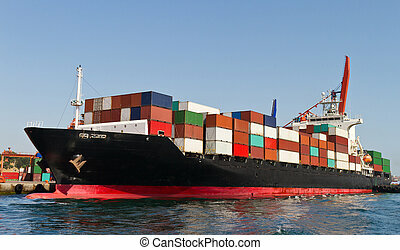 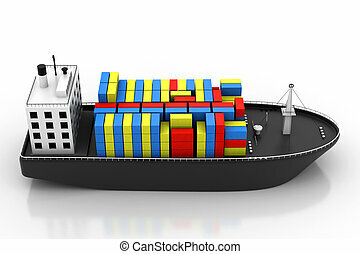 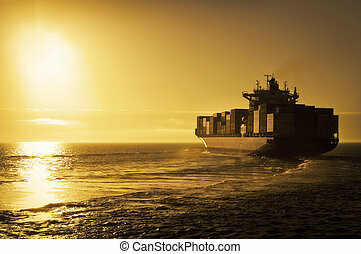 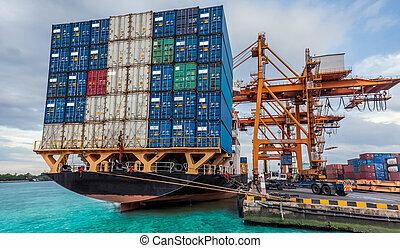 Cargo freight container ship. 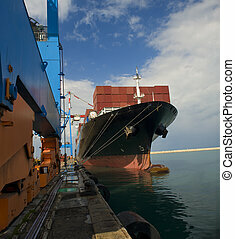 Cargo freight ship with stacked container at harbour terminal. 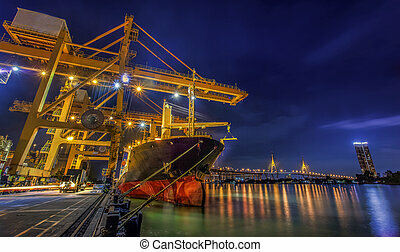 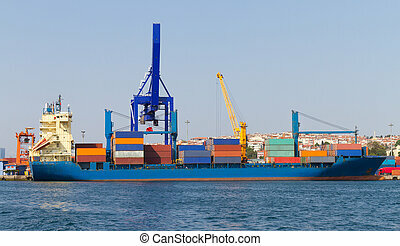 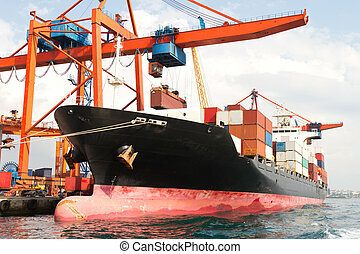 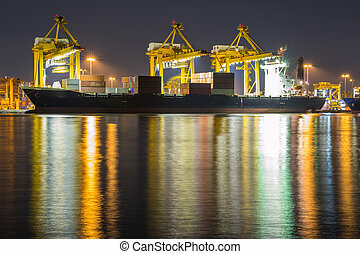 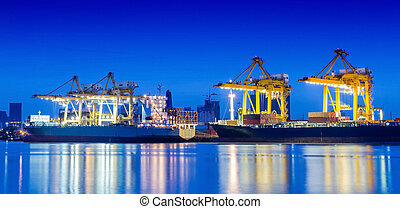 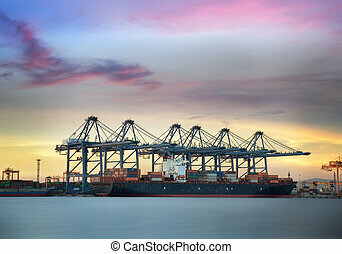 Industrial Container Cargo freight ship with working crane.